Global mosaics of Pluto and Charon projected at 300 meters (985 feet) per pixel that have been assembled from most of the highest resolution images obtained by the Long-Range Reconnaissance Imager (LORRI) and the Multispectral Visible Imaging Camera (MVIC) onboard New Horizons. Transparent, colorized stereo topography data generated for the encounter hemispheres of Pluto and Charon have been overlain on the mosaics. Terrain south of about 30°S on Pluto and Charon was in darkness leading up to and during the flyby, so is shown in black. “S” and “T” respectively indicate Sputnik Planitia and Tartarus Dorsa on Pluto, and “C” indicates Caleuche Chasma on Charon. 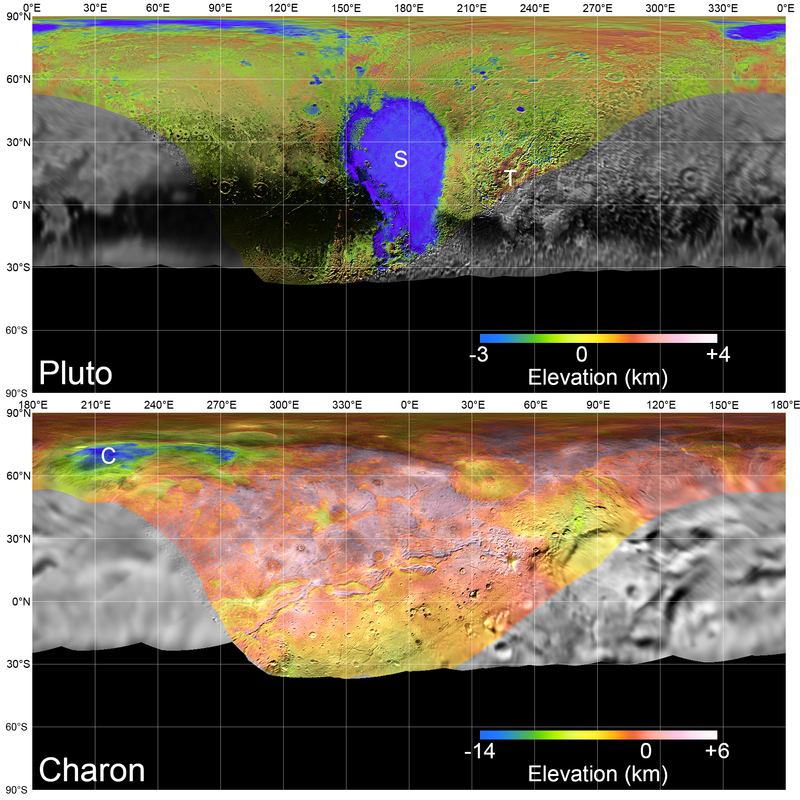 All feature names on Pluto and Charon are informal.